In this piece, we'll show you how to turn off Samsung's spammy and ad-like Galaxy Apps notifications on Samsung smartphones such as the Galaxy S7, the Samsung Galaxy S7 edge, and the Galaxy Note 5. In an attempt to differentiate its handsets from the rest of the Android crop, Samsung has created the Galaxy Apps store, an ecosystem that Samsung populates with numerous interesting apps and experiments. Unfortunately, Samsung turns out to adopt an aggressive approach in promoting featured items in the Galaxy Apps store. By default, Samsung's app store will sometimes launch notifications that promote 'featured' apps. One way of stopping what many could see as an abusive practice is to completely deactivate Galaxy App notifications. Unfortunately, however, this will also turn off useful notifications. As such, it's probably worth taking the time to keep Samsung's latest app promotion out of your notification drawer. Step 1. Open the app drawer, then find the Galaxy Apps store. Step 2. Tap the 'More' button, then tap 'Settings' in the top-right corner. Step 3. Deactivate the 'Push notification' toggle. This will stop the app from launching notifications when Samsung decides to promote a certain item. Step 4. Since you're here, this could be the perfect place to stop app update notifications. You can do this by deactivating the self-explanatory toggle in the Settings screen. I got a Galaxy Tab 4 and I never use Samsung's app store. Theres the Google Play, what's the point? Well Samsung always offer paid apps for free on their store, plus Samsung's core apps are found there. Like the kids mode for example(which is a must for my daughter). Not to mention the Gear store is built in it, so it is a must for anyone who is looking to buy a Gear. And I never received any "spammy" notification, like literally never, and I have never had to disable anything as well. The only notification I usually get is when there is an uodate for an app or something. Gives an alternative source to support devs and officially get app updates. I installed the Amazon app store on my OnePlus One 'cause fkn google is demanding my driver's license and bank statements for me to simply make use of my gift card balance: https://db.tt/wia5Cem2 Not gonna fkn happen. I never put any personal information in the hands of that spyware, and definitely not gonna do it just to further pay them. Not even a retail store would ask for such information from a complete stranger making a purchase via one of their gift cards, not sure what makes google think they're special enough to ask for such. If a good dev's paid app is on the Amazon store, I buy it there, if not I turn to pirate stores and get what I want. Fkn google's greed is only hurting their devs. With Samsung's store, I'll probably not need to install the Amazon store. 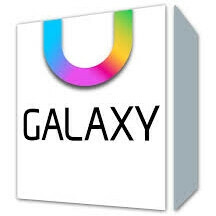 Just to give you an example of how awesome the Galaxy Apps store is, I just checked what are they offering now, and under the Galaxy Game Pack section, they are giving away more than $150 worth of apps or credits that you can use. If you have Asphalt 8, you have $40 to spend within the app. This is great for gamers. You sound like a spokesman. That may not appeal to everyone. I don't know why, but this sounds like a scam of some sort. I don't trust any App Store that isn't GP/IOS AP. They just build that into the price of the device. There's no such thing as a free lunch. They will most likely get a kickback from people who don't cancel their free 6 month subscription. Hands down the best after sales support. I can go to an Apple store and get someone to look at my issue there and then. If its a warranty issue they will give me a replacement then and there. If its not I can pay a fee and swap it over. No other manufacturer does that. Stable software that does what it's meant to do consistently. You do realise there are features on iOS that are not present on Android don't you? That so called free software is merely an extended trial, and that's OK. I just wouldn't act like it's free. One thing I wish Apple did would be able to refund a paid app if you uninstall it within 2 hours of purchasing. But that has nothing to do with Samsung. Hahaha sounds like you have been burning. Took you 3 days to write that? A+ for effort. F- for my care factor. Sounds like you must live in a rural city and enjoy home brew software that's your prerogative. But most people just want stable, polished software and the ability to go to their local Apple store for after sales support. All the best mate. Lol, you're one of the least important things in my life...especially as something iGnorant enough to be calling software that bricks your new device "stable, polished software"...kudos. Buying the S4 I have an offer from Dropbox for 2 yrs. That 2 yrs. gone byt I still have the 100GB on Dropbox. Now with S7Edge I receive 100GB on OneDrive. O hope MS will forgot about it when the 2 yrs. offer end like Dropbox did. Thanks Samsung for that. My opinion. Your post is worthless advertising for Samsung, a company most of us hate after putting up with their non-stop spammy notifications. It really isn't a big deal to me and if I'm not mistaken, doesn't that also deactivate push notifications for apps already on your phone that need permission to update? It's unnecessary clutter. Samsung should really stop with the clutter and make there stuff optional for download instead of adding so much unnecessary bloat. You honestly expect Samsung, the king of Bloatware, to see the error of their ways? Not a chance. They are already thinking of new "services" to give you in the Note 6. All of which you will disable immediately because of its less than useful nature. Samsung believes in features. Fully loaded. If you don't like them , remove then. Absolutely agree. Normally you're post I never do. @maherk. You're obviously some low-level Samsung lackey.